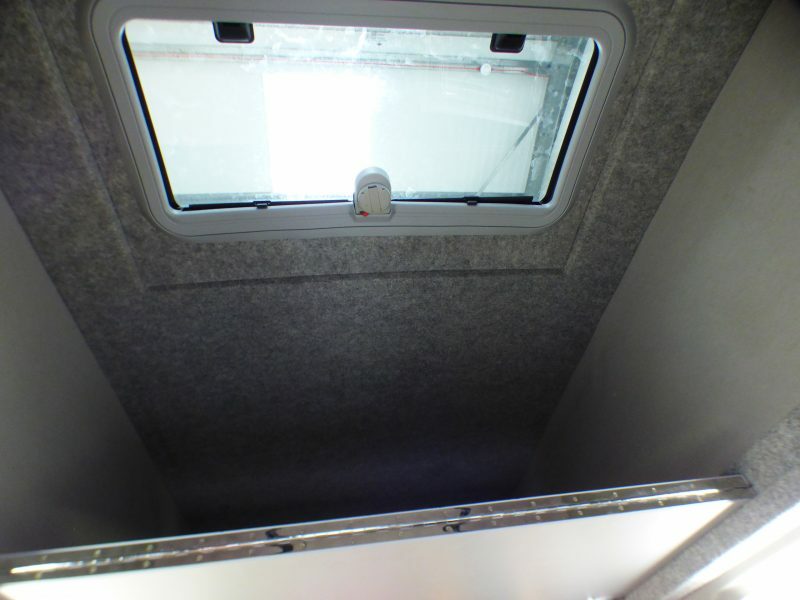 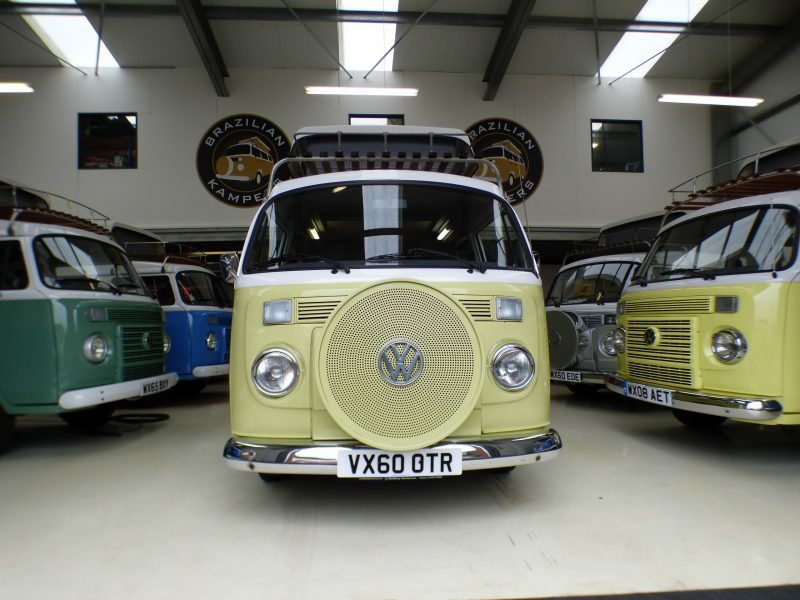 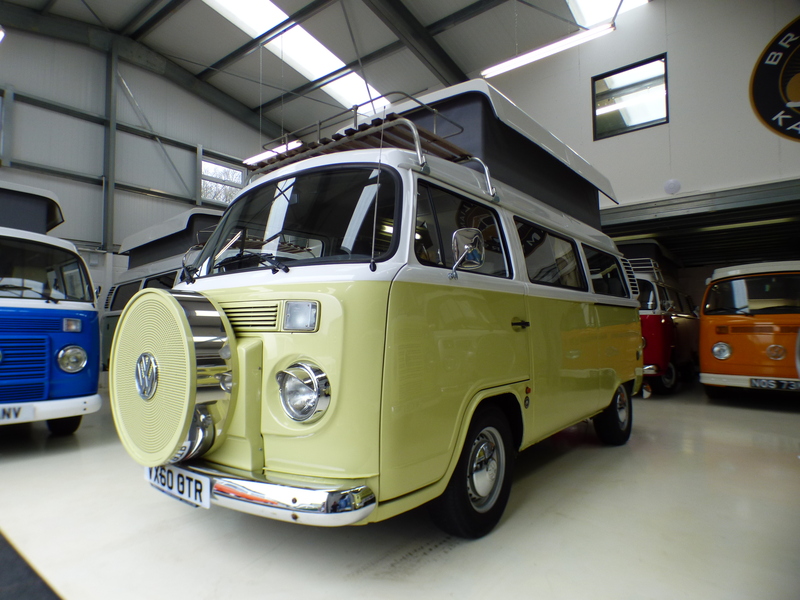 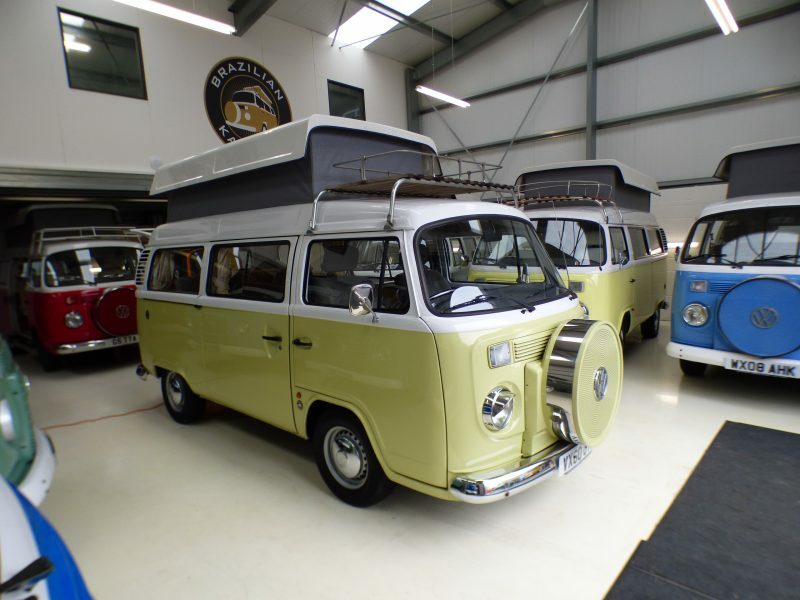 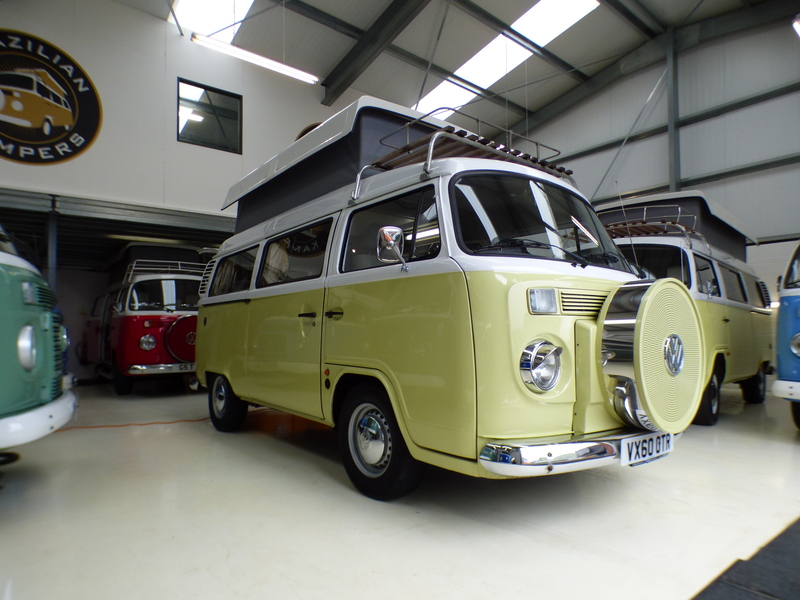 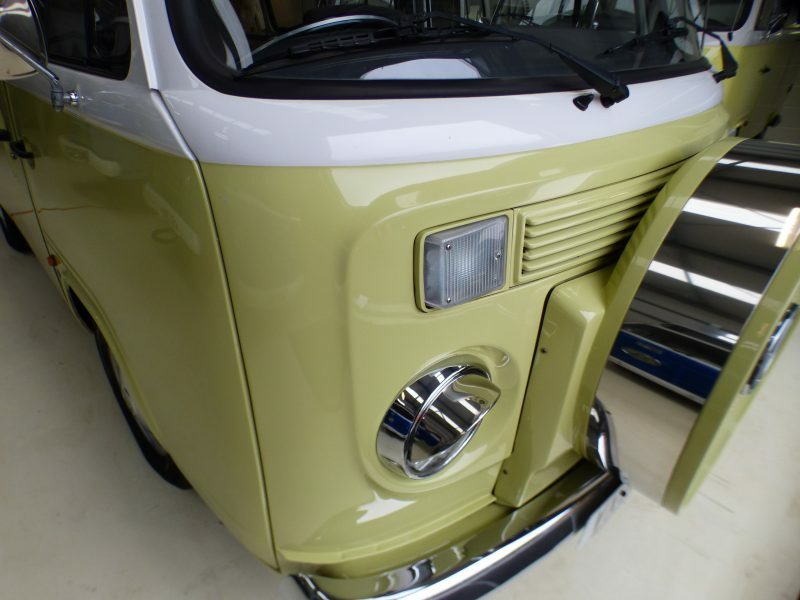 We really like this camper, lovely pastel cream / yellow with full chrome pack and a whole host of optional extras. 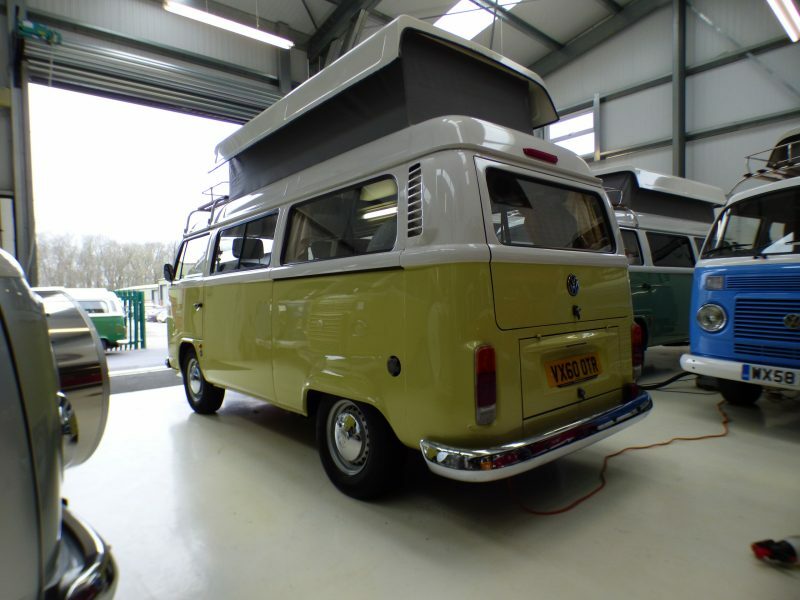 Pastel paint work with white top, lowered suspension, full chrome pack to include bumpers, roof rack, pop top roof with upper bed board and mattress making it 4 berth, clear front indicators, chrome hub caps and rear parking sensors. 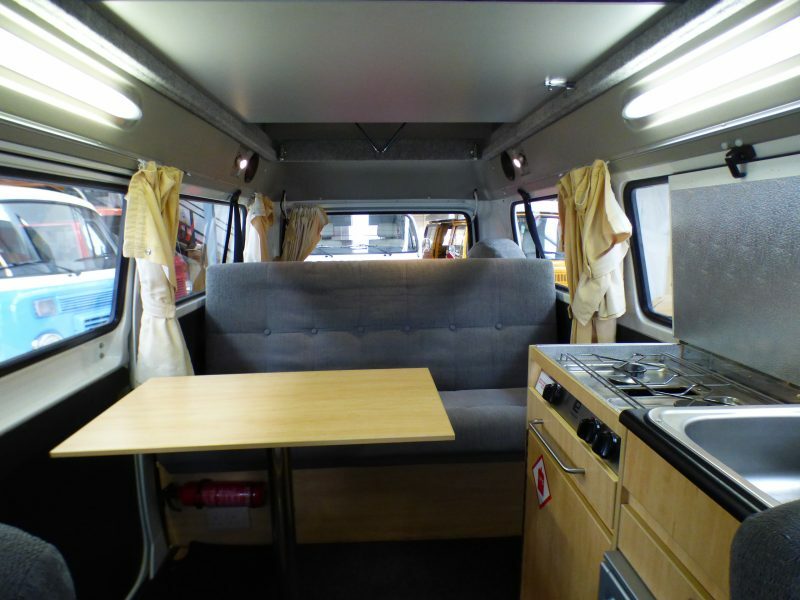 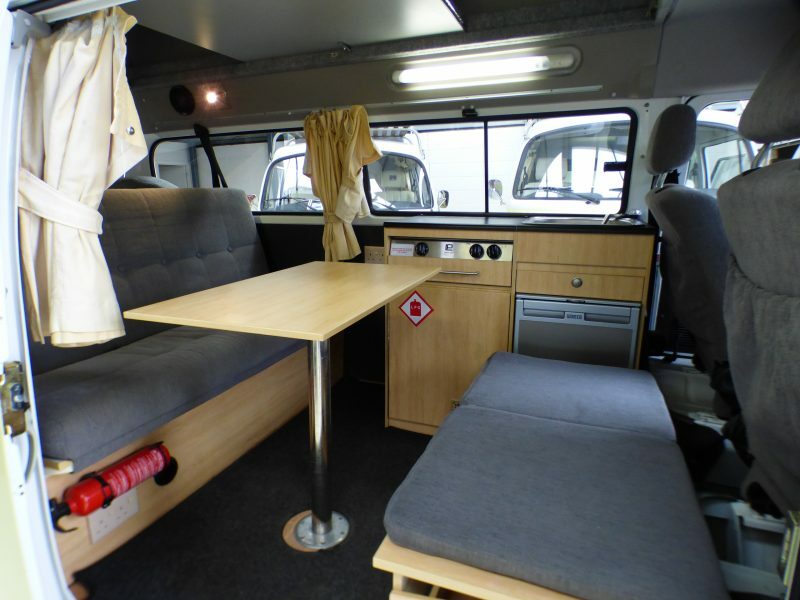 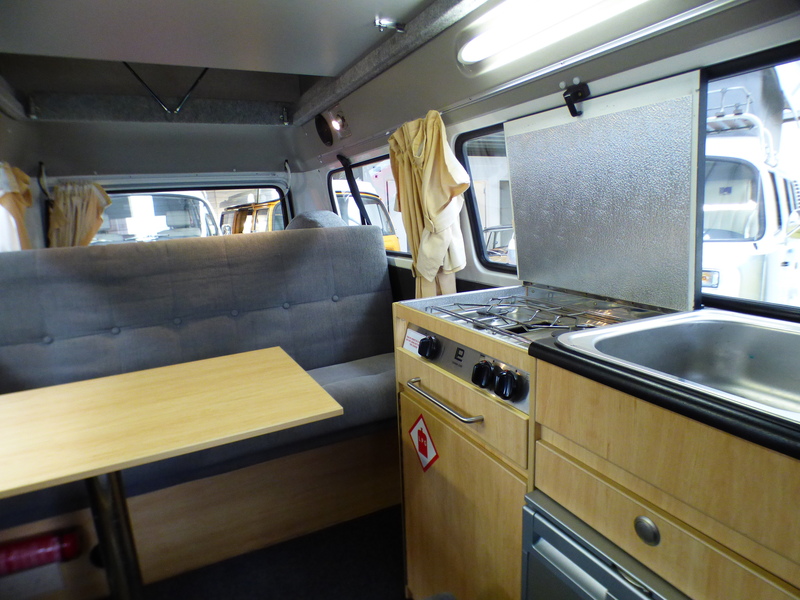 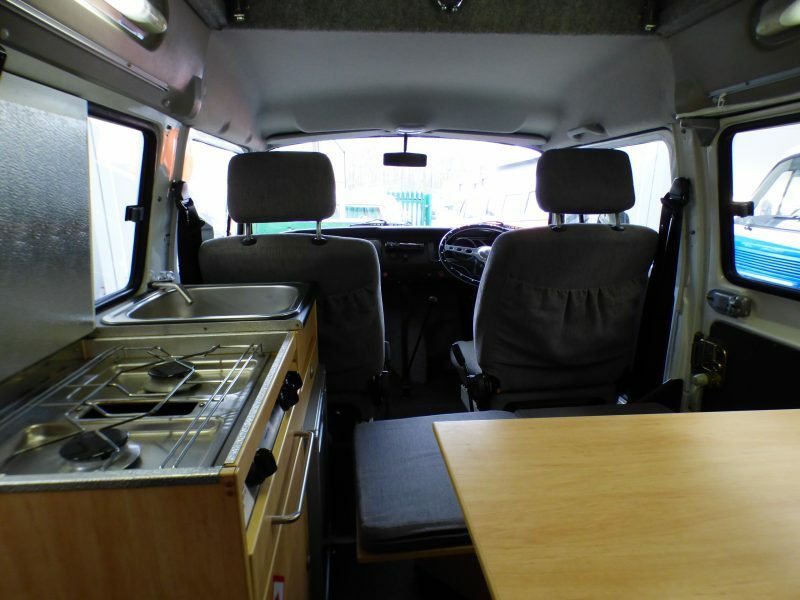 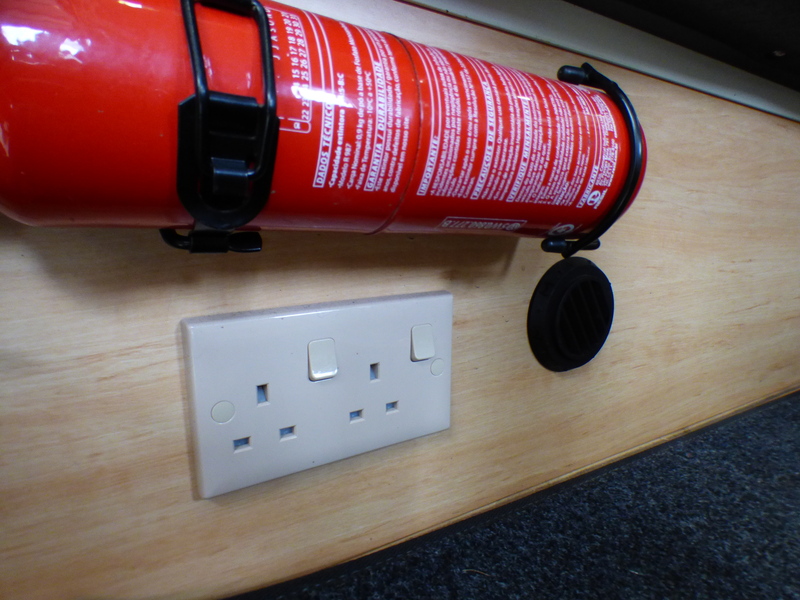 5 seater lay out with rear seat belts, folds down into large double bed, buddy seat with side section so you can all dine around the table, can be used to store a porta porti unit, compact kitchen unit with double hob, grill, sink with pumped water, compressor fridge, 240v hook up, leisure battery with charge system, reading lights, rear night heater with thermostat, front and rear carpet set, heated windscreens, front heating system, iPod headhunt with 4 speakers ,factory fitted alarm system and billet alloy steering wheel. 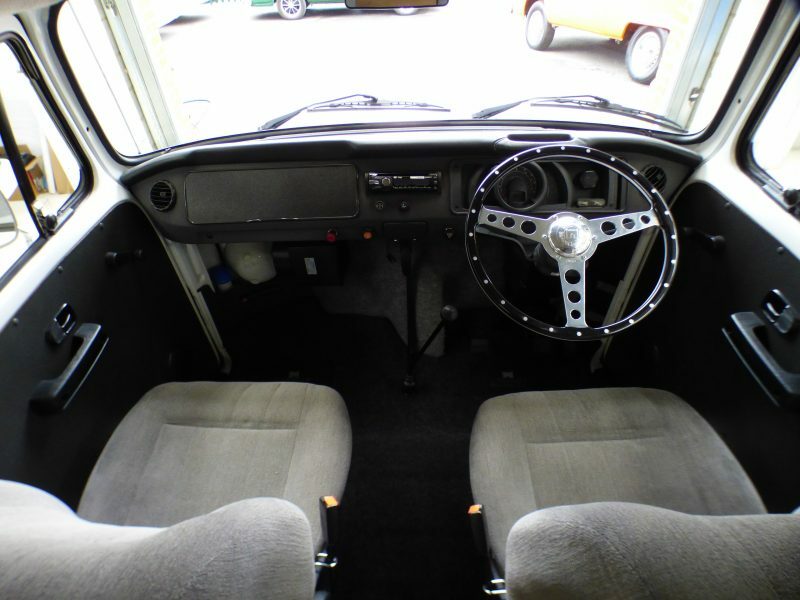 1400cc water-cooled engine provideing plenty of power, modern reliability and easy to drive. 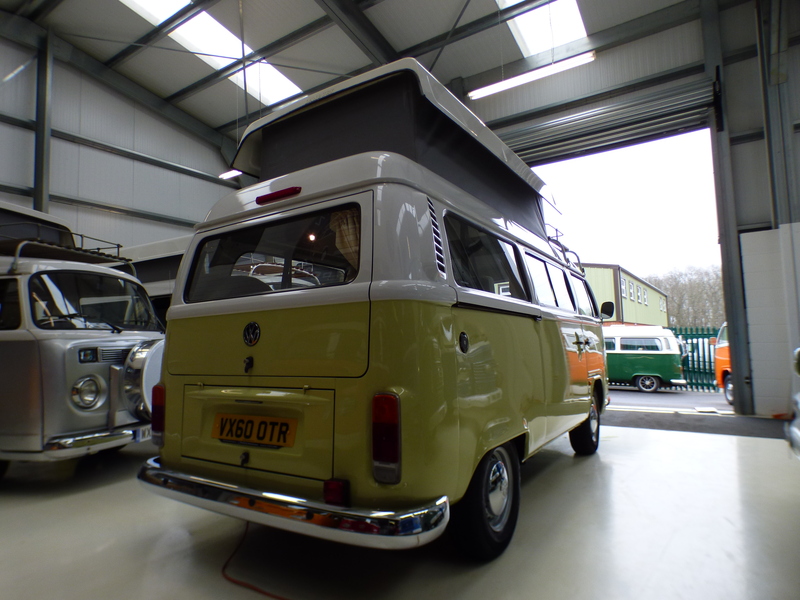 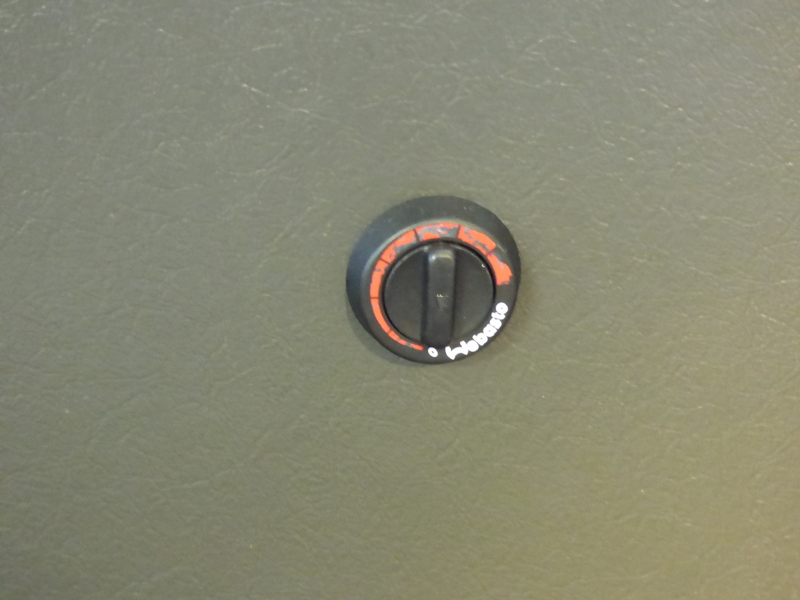 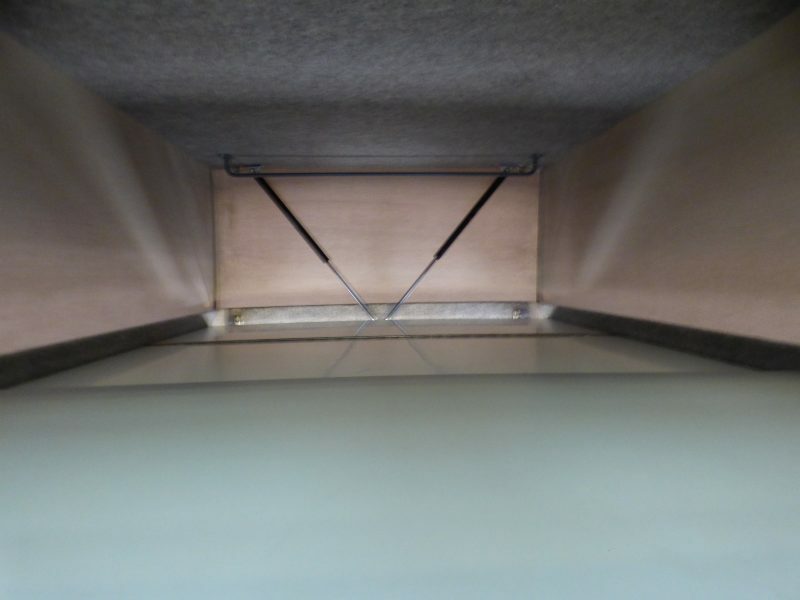 Underside wax oil protects from rust plus a stainless steel exshuast system. 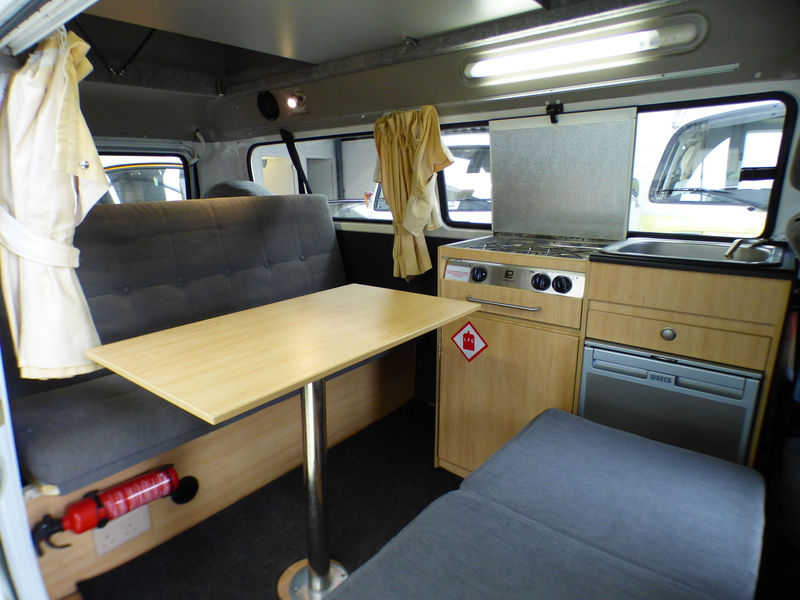 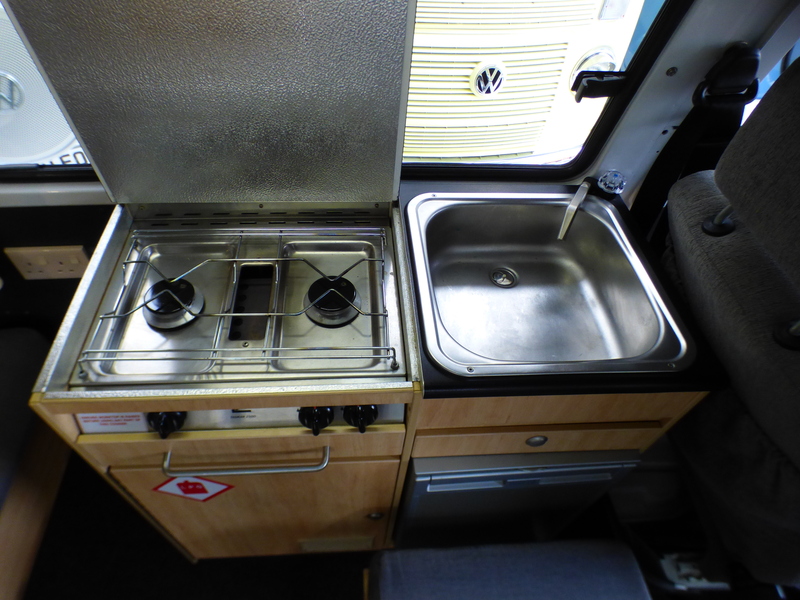 The camper will be sold with a full major service, PDI inspection, full valet to include upholstery shampoo, all backed up by 3 months parts and labour warranty. 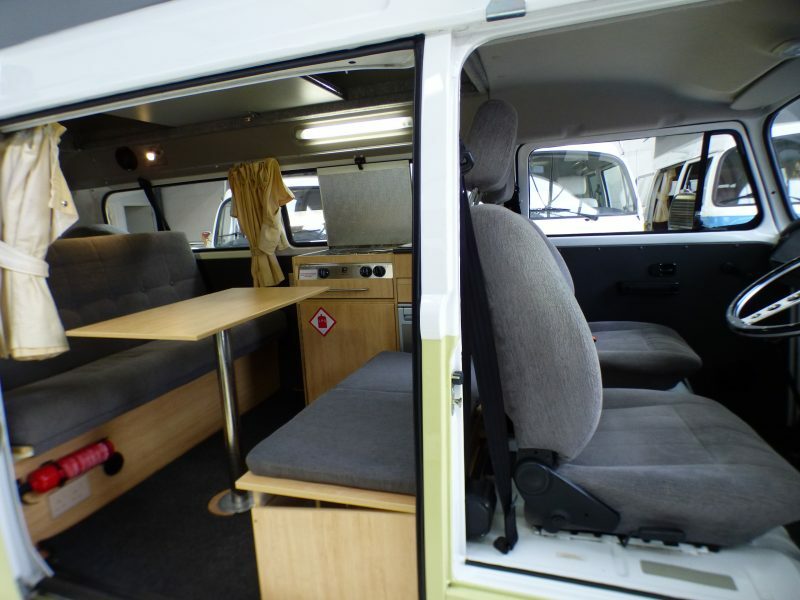 Please use our interactive finance calculator below.